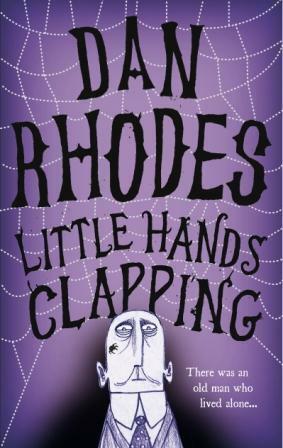 "I Don't Feel Like a Natural..."
Dan Rhodes’ new book, Little Hands Clapping is a fantastic tale involving extremely beautiful people, euphonium music, a suicide museum, a man who looks like Pavarotti, the eating of spiders, the eating of humans, a living ray of sunshine, and a little dog called Hans. And it’s pretty good too. It can also be said, possibly uniquely, that this is a book which includes what Rhodes describes as “a nice little unexpected phrase from Les Dawson,” but I’ll leave it to alert Dawson fans to pick up the reference, if they can. The book is very like a collection of modern fairytales. Various unusual stories are told, but they’re also cleverly woven together so that they gradually converge into a satisfying whole. Rhodes is wary of the fairytale tag though. “Parts of it are, playing with old-school storytelling, particularly the bits about the quest for true love, and the wise old woman” he says, “but I’m a bit hesitant to put myself under that banner, because some readers might be expecting elves or things like that.” Let’s be clear: it’s definitely not a fantasy novel. But it did remind me strongly of the best type of fairytales, the type that haven’t been bowdlerised for younger audiences and retain rather dark plots. Rhodes acknowledges that “I love reading the originals of that kind of story,” and in keeping with this, his tale does have some very dark elements. This said, Little Hands Clapping isn’t strictly a modern fairytale. For one thing, it’s full of Rhodes' quirky humour. “When I first started this book,’ says the author, “I wanted it to be a gag-free book, more like psychological horror really. But then I couldn’t help myself and jokes crept in.” The stories here all revolve around sinister events taking place in a suicide museum, a good horror setting to start with. But Rhodes has a good deal of affection for places like it. “I like going around odd museums” he says. “My favourite strange museum is the Giant Angus MacAskill museum in Skye. It’s one room about the life of one guy who was a giant – a good 8-footer, I reckon [checking reveals he was 7ft 9in, which is pretty close]. He used to tour the world with Tom Thumb [3 ft 4in, if anyone's interested]. The fellow who runs the museum is nothing like the old man who runs the museum in my book though – he’s very friendly and really into his subject.” The book’s old man, who’s mostly referred to as just 'The Old Man', is at the creepy heart of the book. 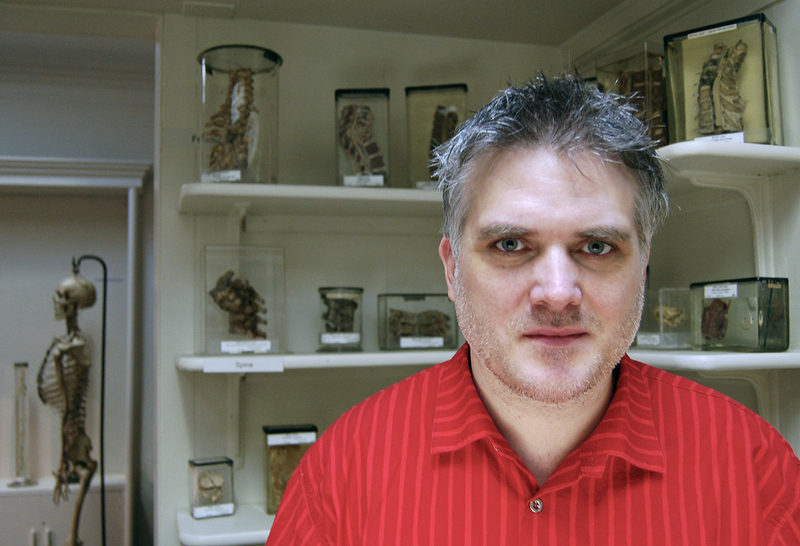 He came about through the author wondering “about the people who work in odd museums – it must drive some of them mad to have to work in these places.” And Rhodes’ suicide museum would send most people on their way. What about that title though? It refers to some other people who were sent on their way, but in another sense altogether. “I came across the phrase ‘little hands clapping’ from the song by Alexander ‘Skip’ Spence and later saw the Browning poem" says the author, adding “It was too perfect not to use, really.” The Browning poem, as avid poetry readers will know, is called The Pied Piper of Hamelin. “The book grew out of sections I’d written about Hamelin,” Rhodes says. Hamelin seems to have greatly affected his imagination: “Originally I went on for pages and pages about it,” he says. Little of this remains in the book, but a curious and very welcome atmosphere of uncertainty is carried over. “In an earlier version,” Rhodes continues, “it ended up with nobody from Hamelin ever leaving the town, because of all the questions that would raise. The other sections slotted into that, so it seemed natural to set it in Germany.” This is an excellent choice, even though it’s an almost wholly imagined Germany. “I don’t know Germany at all” the author admits, saying, “I went once when I was 17. I meant to go while writing the book, but we had a baby and the money ran out.” Despite this – no, because of it, Rhodes evocation of his own imagined Germany of small towns with castles and rivers nestling between forested hills contributes greatly to the tense feel of the book – anything could turn up in Rhodes' setting, and it frequently does. Rhodes worked hard on the book, over some years, and it shows. There are a few different plot strands here that all initially seem like different stories altogether. But none of them bore or confuse for a minute, because they’re brilliantly imagined, and as a whole the book is rivetingly plotted. Even as the disparate tales coalesce at the finale, Rhodes is continuing to invent quirky new characters. “I’m a proud parent,” he says of his cast, “but I really enjoyed Horst the hapless policeman”, an eleventh hour addition who’ll please readers as much as he does his creator. And the beauty of the book’s structure is it becomes incredibly satisfying to follow the plot, as it moves through its fast-paced climax to a fitting but unpredictable end. Rhodes purposefully upped the pace: “I was reading a whole lot of suspense fiction, police novels and things like that, so I wanted a good solid action strand to it.” All of this leads up to final scenes that, without giving much away, won’t disappoint. Little Hands Clapping is released by Canongate on the 4th of February, cover price £10.00. Canongate are also releasing new editions of two previous Dan Rhodes books Anthropology and Timoleon Vieta Come home. Cover prices are £3.99 and £7.99 respectively.